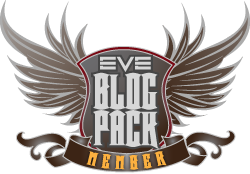 This entry was posted in Uncategorized and tagged CSM, Election, eve online, Goons, In character, Lessons, Mike. Bookmark the permalink. I would not say if only, on the list you are. Now the results are out how do you feel? And I would add this; on Steve Ronuken’s watch – the “High-Sec Industrialist” candidate, the Mineral Price Index continues to decline. It is mining and refining which the first steps for the industrialist and we’re almost back at pre-2011 when it Missions outstripped mining income. Maybe there is something NDA that’s happened to stem this tide. But at face value – High Sec is not being represented, and in particular Industry.It is ground under the boot-heel of null-sec Capital Mining application. Oh well, I am off to the Sisters of Eve and ISK per Hour positives. I honestly never thought of Steve as a “High Sec Industrialist!” candidate… but even if he were… I think you need to reassess what anyone on the CSM can do about stuff like that. High sec is certainly continuing to get shafted, that is for sure. Well… ok… not getting shafted, but not enough high sec accounts care enough to try and do something about the CSM. Currently Jump Freighters enjoy a 90% reduction in Jump Fatigue. This was stated to be a interim measure when it was first introduced. It is not the first time has industrial ships receive concessions. Mining boosts continued to operate within a POS force-field when all others were blocked. This was before the rorqual revamp. The MER clearly proves that null-sec has measure of independence from requiring high-sec industry. (Moon mining gives high-sec a modest measure of high-sec from other security space).Then review the February CSM Summit. One of the key “desires” of the attendees is the continued relax of the Jump Fatigue (if not its removal all together). If and when there is further changes to Jump Fatigue – then as combat “gains”, industry can “lose”. It is a matter feedback into the relevant conversation. The only chance this comes into the reality is that vested parties see this as weaponisation. (It would not be the first time).